Utility isn't really compromised by the A7's rakish roofline. You can only fit four adults in the performance versions of the car, but six-cylinder and turbodiesel models can handle five. The A7 is handsome no matter how you slice it, but it's the brawn S7 and brutish RS7 that really gets our blood flowing. 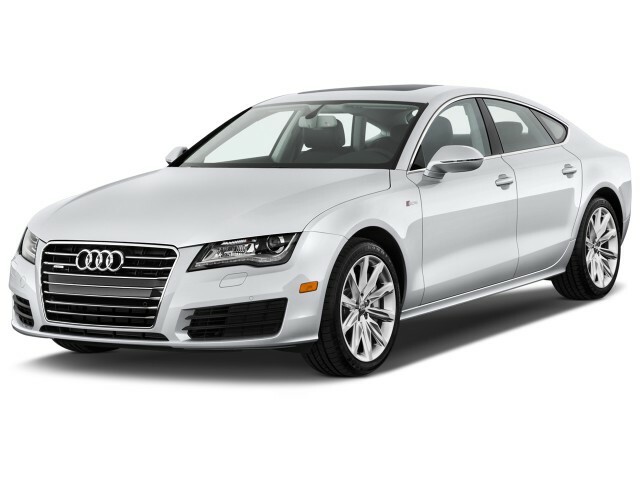 The 2015 Audi A7, wearing a graceful four-door coupe profile over characteristically Audi proportions and details, the Audi A7 remains sleeker and more beautiful than its A6 sedan counterpart. It is among the most attractive vehicles on the road today—at any price. Add to those looks the utility of a hatchback rear cargo area, and you have an intriguing combination of style and practicality. The A7 TDI aims to be the tops among the segment in terms of fuel economy. 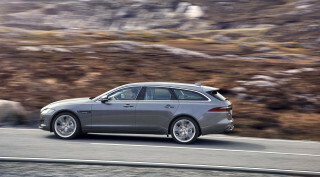 The 3.0-liter turbodiesel manages impressive EPA numbers of 24 mpg city, 38 highway, 29 combined. It's offered with standard all-wheel drive and an 8-speed automatic and produces 240 horsepower and 428 pound-feet of torque. The base setup is a supercharged V-6 that makes 310 hp and can propel the A7 up to 60 mph in just 5.4 seconds. 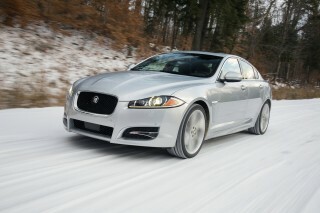 It's relatively fuel efficient, at 18/28/24 mpg, and is helped by its 8-speed automatic. We have some small gripes with that engine, but it's still quick, handles well for a large car at 2 tons, and manages to tame some of the traditional understeer that we've found in other Audi models. The V-6 is also supremely comfortable and quiet under relaxed driving. The S7 is the next step up from there with a turbocharged V-8 that makes 420 hp mated to a 7-speed dual-clutch automatic and all-wheel drive. That's good enough for a run up to 4.5 seconds to 60 mph, but with the same road manners as the A7 models, from which it's based. Last year, Audi added a higher-performance version of the S7, dubbed RS 7, which takes the same 4.0-liter V-8 found in the S7 and whips the turbos for even more power. Its 560-hp rating tops even the V-10 found in the R8, making the RS 7 the most powerful Audi on sale today. That type of grunt isn't cheap—it starts at $105,795—but it shifts that power through an 8-speed automatic with paddle-shifters and a variable torque splitting all-wheel-drive system that propels the RS 7 into rarefied air. The RS 7's 0-60 mph time of 3.7 seconds competes not only against the Mercedes-Benz CLS AMG 63 and BMW M6 Gran Coupe for uber luxury coupe buyers, but also the Corvette Stingray for straight-line speed while avoid gas-guzzler penalties with help from cylinder-deactivation technology. It's not only about straight-line performance, the RS 7 also keeps things tidy in the corners too. The standard air suspension can be set to Dynamic for flatter cornering and its steering can be set for a direct-ratio setup, too. (A steel suspension is coming, but we don't anticipate seeing many of those models around.) The RS 7's rear-biased all-wheel-drive system doesn't completely solve the Audi's propensity to understeer, but it can instruct the RS 7 to dive predictably, and flatly, into corners at incredible speeds. If a four-door GT-R were a thing, the RS 7 would be it. Much of the front end, instrument panel, and features of the A7 are similar to the A6, from which it's based. Walk around the back of the A7 and the two diverge with the A7 sporting an elegant hatchback, with a long and wide opening for a shallow floor. The A7 boasts a grand-tourer outline, but one that's far more practical. Small details differentiate the A7 models with the S7 and RS 7 models, including black honeycomb grilles, quad exhaust tailpipes and rear diffusers, matte aluminum and carbon trim. The dash is a chorus of cutlines, but Audi's mastery of materials carries it off without a hint of chaos. Regardless of which model you settle on, the A7 is warm and inviting for all passengers. It's a first-rate luxury experience with comfortable front seats and high-quality materials. Only the tallest rear-seat passengers will be cramped for space, and the S7 and RS 7 are four-seaters only—the A7 has five positions. Fold the seats down and the A7 is only limited by its seductive roofline; there's a lot of room here, even if the floor is a little shallow. Beyond the first-class appointments, the A7 also sports state-of-the-art technology. Most of what you'd find in an A8 is available in the A7, or standard. The A7 sports standard power adjustable heated front seats and a choice among trim colors to complement standard leather. Cooled seats are optional. The A7 and S7 also comes standard with impressive interior ambient lighting, while the RS 7 adds a three-spoke steering wheel, sport shifter, and a classy pinstriped black-and-aluminum trim. Blind-spot monitors, night-vision cameras, and a forward-collision warning system enhance the A7's already impressive roster of safety features. 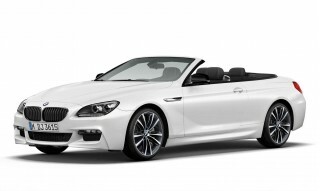 The infotainment includes a 3-D Google Map feature that displays topographic and feature maps; Sirius Traffic updates the navigation with the latest traffic info; Google Voice search can pick eateries and hotels nearby; and an optional Bang & Olufsen system may sound better than being there yourself. The infotainment is primarily driven by a scratchpad system dubbed MMI touch that includes handwriting recognition for destination entry or dialing phone numbers. Audi Connect's plan handles an optional data subscription to turn the car into the world's most expensive hotspot (and more) if you're in the mood. The Audi A7 is a stunning hatchback, with a cockpit that you'll want to wrap yourself in. This year, Audi's signature LED headlights have been updated for the A7 lineup. It's one of few changes that do nothing to alter the A7's stunning shape. The interior of the A7 is trimmed well and includes some of the best coordinated materials we've found on a sedan, even if the inside doesn't match the stunning exterior. The interior look is mostly cribbed from the A8 flagship sedan, but slimmed down to fit and sitting lower to accommodate the A7's lower roofline and steeper rake. The smooth and straightforward instrument panel makes the most of interior space, and matte-mettalic finishes and two-tone soft-touch surfaces—along with some elegant dash contours, flowing doors and woodgrains—make the interior of the A7 feel special every time we sit inside. Attention is focused on the MMI touch controller, thick low center console, and pop-up nav screen that are borrowed from the bigger A8, but are cleaner and simpler in the A7. The A7 is Audi's most daring design statement, a confluence of curves. The A7 has rivals—the handsome Mercedes-Benz CLS-Class, the BMW 6-Series Gran Coupe, and the controversial Porsche Panamera—but the A7's surfacing and details leave it in a class of one. It's a beautiful car, with a hint of sensibility. We're hard-pressed to find fault in the outline, perhaps the A7 is a little thick at the tail? What modern car could be described differently? The S7 and the RS 7 only up the ante with a subtle application of logos, bigger wheels, and an automatic rear spoiler. The matte gray available on the RS 7 is special there, same with the painted brake calipers and black honeycomb grille. The uber-powerful S7 and RS 7 are brilliant performers, but the A7 TDI is a standout in its own way. 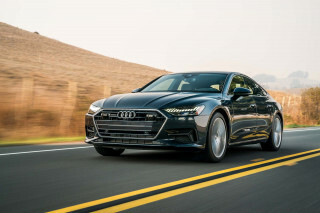 Each of the A7's available engines is smooth, confident, and powerful for the car's weight–but they can reach levels of legitimate brutality if you're into that kind of thing. We are. The peak of the A7 lineup is the RS 7, which starts at $105,795. The same basic shape holds a high-po twin-turbo V-8 that churns 560 horsepower and the numbers only get better from there. Dashing up to 60 mph only takes 3.7 seconds, and an 8-speed automatic and all-wheel drive handle the details all the way up to do 174 top speed. For a taste of the 560-hp beast on the German autobahn, read MotorAuthority's 2015 Audi RS 7 first drive. To appeal to those more forgiving enthusiasts, there's the S7, which gets a 420-hp twin-turbo V-8, combined with a seven-speed S tronic transmission and steering-wheel paddle-shifters. It's capable of getting to 60 mph in less than 4.9 seconds, and it includes the adaptive air suspension, with sport tuning, special wheels, and upgraded brakes. The standard setup in the A7 is a 3.0-liter supercharged V-6 rated at 310 horsepower and 325 pound-feet of torque. It's a better application than its muted predecessors, with lots of low-end torque that helps it shuffle the A7 up to 60 mph in about 5.4 seconds. 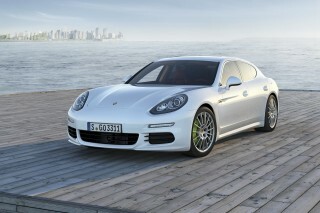 It also returns up to 28 mpg on the highway, according to the EPA. It's the kind of flexible engine that helps make the A7 look better—if that's possible. The optional turbodiesel V-6 is the pick for fuel economy. It's just about as quick as the gas-powered V-6, but has a different powerband delivery, makes more noise, and more vibration. That's forgivable considering it returns an EPA highway number of 38 mpg and a combined rating of 29 mpg—even with standard all-wheel drive. In 2015, Audi admitted that the diesel engine in the A7 polluted beyond legal limits and pulled the models from showrooms. In 2017, it settled with owners and offered to buy some of these cars back. In either case, the A7 comes standard with a top-shelf 8-speed automatic that includes a manual shift mode, which is paired to standard all-wheel drive. It's a rear-biased system that sends 60 percent of the power toward the rear wheels nominally, but can shift more torque front to back depending on where power is needed. While it's configured for better performance and grip, it's a capable all-wheel-drive system for tackling bad weather too. Audi Drive Select is standard on A7 models, which lets drivers select from four different modes for steering heft, throttle response, and transmission behavior. The settings range from the always helpful Auto, to Dynamic, Comfort, or Individual, which can mix and match between the settings. The most obvious difference can be found in the steering feel, which weights up dramatically depending on the setting, but despite the overall heft, there's very little feedback through the wheel. Sport-sedan shoppers will ask for more, while most shoppers will find the comfortable vehicle to be just sporty enough to satisfy most tasks. The A7's ride borders on the firm side of comfortable, which may require a thorough examination of your nearby streets before considering its daily routine. On tight roads, urban streets, or highways, the ride is fine—almost sedate in places that would give sports cars reasons to sweat. On extremely pitted roads, the A7's suspension does its best to soak up imperfections without being wallowy or pillowy, but it will pass on some nasty bits into the cabin. Mixing a tight driving feel, with a solid suspension setup, and impeccable control is no easy feat, and one that's handled well by the A7's use of aluminum in its structure. Engineers used extensive amounts of aluminum—more than 20 percent for the body, including the front fenders, hood, doors, and rear hatch. That helps the A7 save weight, up to 15 percent compared to a steel construction, according to Audi. The fast roofline doesn't chop away much headroom from the A7, and the cargo space is excellent. The A7 is reasonably spacious, thanks to its wide layout. However, rear headroom isn't always a strong suit here, especially if you opt for its available panoramic sunroof. Hydraulic dampers in the A7's suspension and subframe help soak up road vibrations and minor vibrations from the engine, which pays dividends in keeping the cabin quiet. An integrated rear spoiler extends at 80 mph for better downforce and retracts at 50 mph for a slipperier shape to cut a smaller hole in the air. Frameless doors keep the profile pure, usually the provenance of coupes and convertibles, but the A7's complex sealing system keeps the side view intact and the noise out of the cabin. 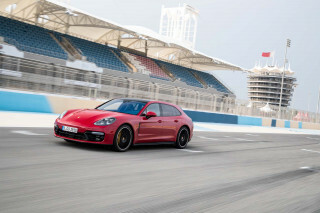 On turbodiesel models and mega-powerful S cars there is some road noise that seeps in, compared to the supercharged V-6. 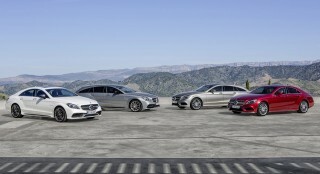 The A7 will comfortably hold four adults, provided they're not the starting frontcourt of an NBA team. The highly adjustable front seats make the most of available space; most models have heating and ventilated controls up front. Drivers of nearly all shapes and sizes won't have an issue finding a good driving position, although for side-impact crash requirements, the steering wheel isn't centered to the front seat. The low-set instrument panel is canted slightly toward the driver, pushing forward to enlarge the rest of the space. Back-seat riders may have the best seats in the house. Audi has scalloped the headliner to make more head room for tall passengers, and the two bucket seats are deeply pocketed, but lanky passengers may be looking for more head room. There's a fifth seating position in the rear row of the A7 only, but we think it may only exist in theory for spec-sheet marketing. Further down on the spec sheet, the A7 reads larger than other mid-size sedans at 196 inches long, bumper to bumper. The A7 is lower than most sedans, however, at only 55 inches, which means entry and exit in the A7 can be a little more challenging than other traditional mid-sizers. Crash-test scores aren't complete, but the A7 has performed well thus far. Due to its high price and low sales volume, the A7 hasn't been crash-tested by the agencies that evaluate vehicle safety. However, its long list of standard and available safety features earn it high marks in our book. Available on the A7 and S7 is a special night vision assistant can highlight objects, people, or animals ahead in yellow or red, and give audible warnings, based on thermal imaging technology. The corner-view system added to the A7's options list for the 2013 model year is now included in the Driver Assistance package, an option on all models. A scratchpad MMI controller and Google Earth are some of our favorite A7 tech features. Nearly every feature in the Audi tool kit is made available on the A7 lineup, so you won't miss out on much if you choose this rakish hatchback over the A6 or A8 sedans. Audi's infotainment system, dubbed MMI, is controlled with a scratchpad that uses handwriting recognition to input commands such as dialing the phone to navigation destination entry. It relies on users to trace out letters one at a time, and it's relatively simple and straightforward with a little practice. We've found that the system can be easier to use than pointer-based systems or touchscreens with even more practice. The A7 hooks into the data slipstream with a cellular connection that relies on the T-Mobile 3G network. The system, which is called Audi Connect, serves data to everything from the Google Maps-powered navigation to up to eight wi-fi devices connected via Bluetooth. Beyond the cellular connection, the A7 receives real-time traffic info from Sirius Traffic, which can be overlaid onto the Google Maps, and we live in exciting times, people. Engineers at Audi say that they've made the voice command system more responsive and helpful, thanks to Google Voice Local Search that tunes in for keywords and returns nearby destinations, including restaurants and hotels. Logging in at home to the myAudi Destination lets users add up to 50 saved destinations that can be retrieved in the car, on the go. The standard A7 is available in Premium Plus or Prestige trim levels. On Premium Plus-equipped cars, the standard features include Audi's Drive Select system, a sunroof, 19-inch wheels, rearview camera, HD radio with Bluetooth and iPod connectivity, rear bucket seats, and navigation. Add-ons include flashier 20-inch wheels, and an upgraded Bang & Olufsen sound system with 15 speakers including tweeters that rise from the dash when the ignition is turned on. Stepping up to Prestige models adds adaptive xenon headlights, premium audio by Bose, ventilated and heated front seats, a power-adjustable steering column, cornering lights, and four-zone automatic climate conditioning. If you're considering an S7 model, take note that those are only available in Prestige trims. Moving up to RS 7 spec means you're our new best friend, and there are a few standard features you should know about. For more than $100,00 to start, the 20-inch wheels are wrapped with 275/35 summer rubbers, a sport differential is included, same goes for a sunroof, power tailgate, unique bumpers, LED headlights, keyless entry, Audi's Drive Select suspension, blind-spot monitors, sport seats, a rearview camera, carbon fiber accents, and an electric rear spoiler. Adding everything you can bumps the price past $130,000, including a Drive Assist package with cornering cameras for $2,800, and an optional night-vision camera for the same amount. A cold weather package that includes a heated steering wheel and heated rear seats runs $500, red brake calipers are $750, a Bang & Olufsen premium sound system runs $5,900, Alcantara headliner is $3,000, and you get the picture. The RS 7 can be incredibly rich, even before we've added $6,000 for the Daytona matte paint. Turbodiesel power gives the A7 almost 30-mpg daily fuel economy. The fuel economy ratings for the A7 meet our expectations for a luxury car with standard all-wheel drive. Those numbers come out to 18 mpg city, 28 mpg highway 21 mpg combined for the supercharged V-6, and both better and worse figures are available, based on which engine you choose. For the best fuel economy of its kind, however, you'll want to saddle up the A7 TDI. Its exemplary EPA ratings of 24 mpg city, 38 mpg highway, 29 mpg combined outscore one of its main rivals, the Mercedes-Benz E350 BlueTEC, which is rated at 33 mpg highway. Fuel economy is undoubtedly boosted by the 8-speed automatic. Its gears are spaced wide, including a tall top gear for long highway slogs. Regardless of powertrain, we think the EPA estimates are within reach for most drivers; we've clocked up to 22 mpg in a gas-powered version in a daylong drive.